Found this on the banks of the Sag River in Alaska. 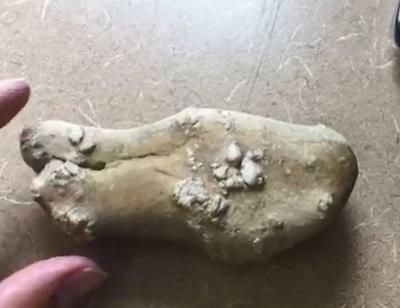 Looks like it could be a tooth or is it just a rock? Comments for Rock or Tooth ? I can tell its a fossil of some sort, I will conduct some research and let you know what I find out. I don't know what you have here. It is an interesting rock but that is all I can say about it. Join in and write your own page! It's easy to do. How? Simply click here to return to fossil-identification.